Aging-in-place and barrier free design was the driving force behind this attached ADU designed for our client's mother. 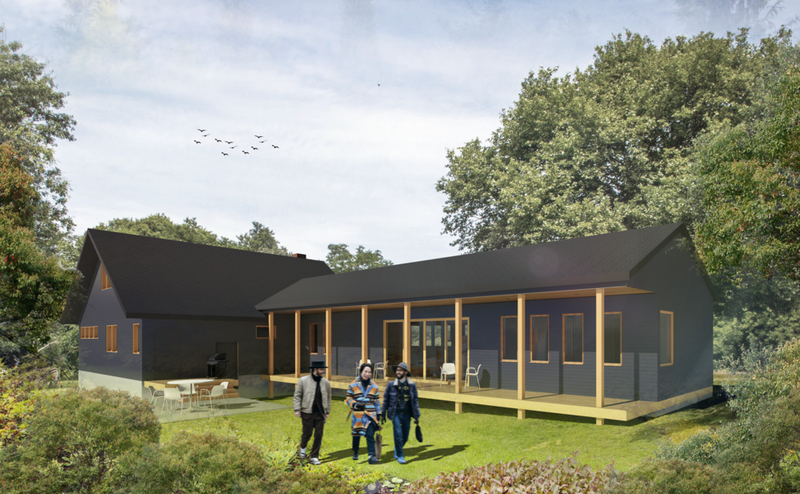 This Accessory Dwelling Unit is designed as an apartment for the client's aging mother, while giving the family a long-term opportunity for additional rental income. The main challenge was addressing the slightly sloping site while also allowing for access to the main level of the existing house. To reconcile these differences we elevated the ADU to be flush with the existing floor height, while providing a staircase up to the main entrance, but allowing for it to be converted to an ADA ramp when needed in the future. The layout for the ADU consists of a single level with the bedroom tucked to the north of the site. The bathroom acts as the divider between the Living areas and bedroom, maximizing privacy. 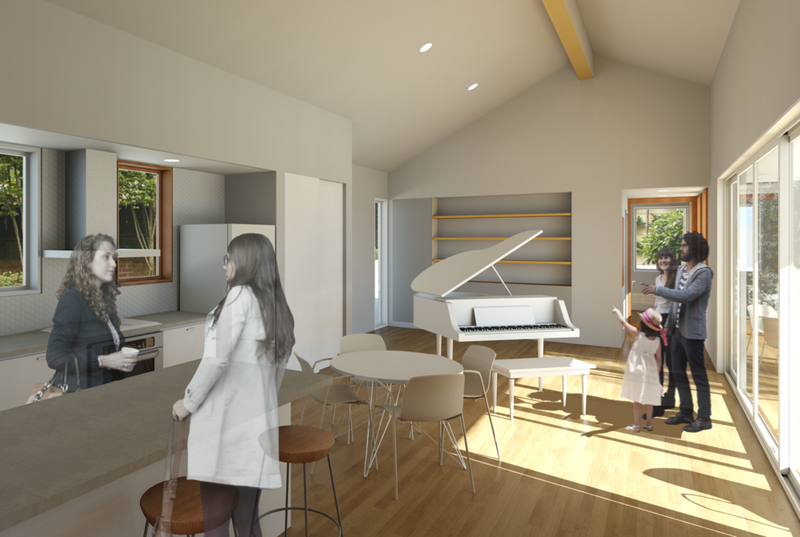 The open Living/Dining/Kitchen "great room" faces east with sliding glass doors that overlook the garden and open onto a covered porch stretching the length of the structure. Sustainable features include low flow fixtures, low VOC paint, high efficiency ductless mini-split for heating and cooling, and locally sourced wood finishes.